EE have today announced their pricing for the new 4G service which is going to launch in the UK in one weeks time, on the 30th October. Some very interesting points to take away from the full press release below including some services, data pricing, roaming information and store planning. Some great news when it comes to roaming and that is for £5 a month customers can take their unlimited calls and texts package abroad to the EU and some other selected countries which also includes USA which has long been known for high roaming prices, a fantastic move from EE. Data options to be able to use the internet on the phone will also be available. In a move to promote content, EE Film is a new service that gives 2-for-1 cinema tickets, access to movie trailers and also now movie downloads all on the single application. Customers will get to watch 1 film a week where the allowance is not impacted and additional movies are 79p to either download or stream. All plans above include WiFi access via BT Openzone. 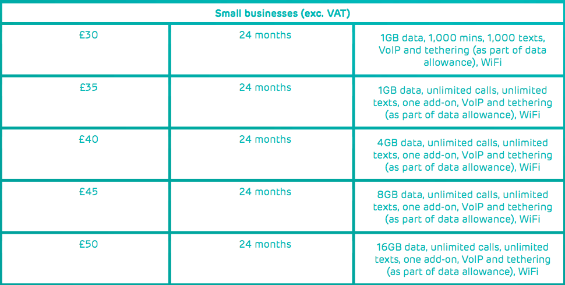 There are also 12 month sim only contracts available with the same allowances as above but costing £15 a month less. This means pricing is as follows. There is lots more information such as other roaming add-ons as well as details for business customers, all which will be covered on the main EE website, however hopefully the above information has been more than useful for now.Below is the press release so you can see more information should you want too. 23rd October 2012. London. EE, the UK’s most advanced digital communications company, today unveiled the pricing and plans for its new superfast Fibre Broadband and 4G services, designed for 21st century consumers and businesses alike. 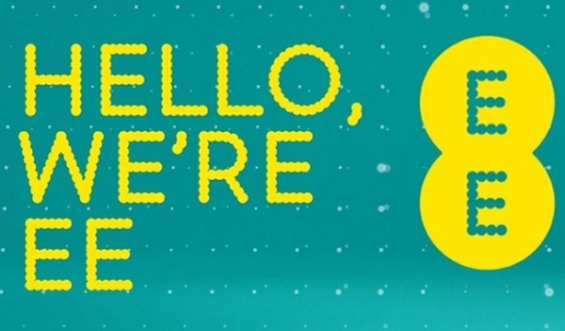 EE will be available to buy nationwide, with the 4GEE service going live initially across ten cities on 30th October3. The company has an aggressive 4G rollout plan in place with six further cities coming online in the run up to Christmas, with further cities and rural locations planned for 2013, and 98% of the population due to be covered by the end of 2014. 3 London, Manchester, Bristol, Birmingham, Cardiff, Edinburgh, Leeds, Liverpool, Sheffield and Glasgow (and parts of Southampton) on 30th October; expanding further within those cities, as well as a further five cities by Christmas – Belfast, Derby, Hull, Nottingham, Newcastle. For just £5 more a month, customers will be able to take their unlimited voice and text allowance abroad with them, in Europe and selected countries in the rest of the world4, as well as access to special data add-ons offering significant value on data use while abroad. 4 Selected rest of world countries: Armenia, Australia, China, Columbia, Croatia, Ecuador, India, Israel, Macedonia, Martinique, Mexico, Peru, Russia, Turkey, USA. Minutes and texts to any other country outside Europe and the selected countries are not included. companies, with the added benefit of increased spend control through reduced out-of-bundle rates for data, and spending caps ranging from £50- £200. EE’s Fibre Broadband will offer speeds typically up to ten times faster than the UK average. Ideal for households or small businesses with multiple devices, EE Fibre broadband offers maximum download speeds of 76Mbps – allowing customers to stream HDTV, play online games, watch films on demand or quickly upload or download large files. Plans start from £15 per month5, with off-peak calls and a free BrightBox router included as standard. 4GEE customers save £5 per month when taking EE’s Fibre Broadband product for the entire length of their phone plan – offering savings of up to £1206. Orange and T-Mobile customers can also benefit, allowing them to enjoy EE Fibre Broadband in the home or office at reduced rates. 5 Subject to line rental of £14 per month and £50 connection fee. 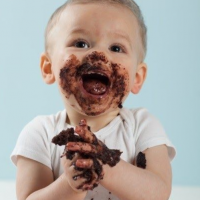 For small businesses prices start from £22 for 38Mbps. From the 30th October, all existing Everything Everywhere, Orange and T- Mobile stores will become newly branded EE stores. 10 Orange or T-Mobile customers in the first 6 months of their contracts can upgrade their iPhone4S, Samsung GSIII, HTC OneX handsets to 4G handset, for a one off fee of £99. and fixed line services to 27 million customers, and from 30th October 2012 will become the first company in the UK to provide 4G mobile services alongside fixed-line fibre.